Jermain Defoe has wrapped up his move from Bournemouth to Rangers after signing an 18-month loan deal with release clauses. The 36-year-old former England striker had his medical in Manchester on Saturday after agreeing personal terms with the Scottish Premiership club earlier in the week. With Jermain Defoe joining Rangers on an 18-month loan deal we look back at ten of his best Premier League strikes. His loan deal includes two recall options - one in the summer of 2019 and January 2020. Rangers confirmed the deal on Sunday afternoon stating it was subject to international clearance. Gerrard said: "I'm delighted to be able to welcome Jermain to Rangers. He is an exceptionally talented striker and vastly experienced footballer who has scored goals at every club he has played for. "He will be a great addition to our dressing room and we look forward to integrating him into the squad whilst we work in Tenerife over the next week." Gers director of football Mark Allen added: "It's really helpful to get work on this front done early in the transfer window because it means we should be able to hit the ground running after the winter break. I believe that is vitally important." 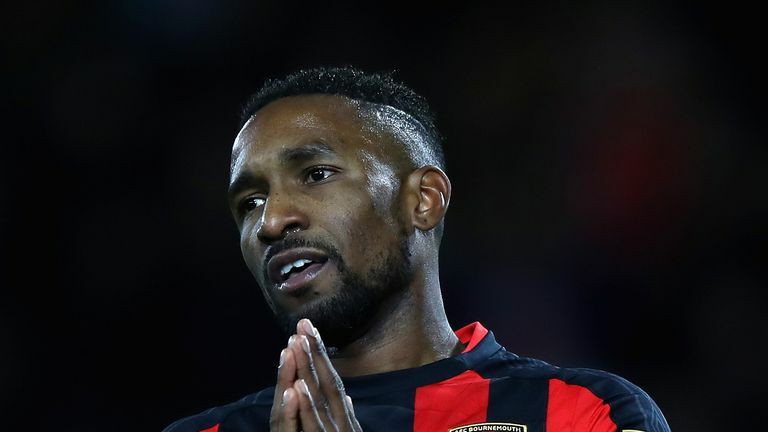 Defoe, who has 57 England caps and is in the top 10 goalscorers in the Premier League, will be playing under former international team-mate Gerrard having struggled to break into Eddie Howe's Bournemouth side this season. He did not start a Premier League game for the Cherries in 2018/19. Defoe started his career at Charlton, has scored over 200 goals in a 20-year career featuring spells at West Ham, Tottenham, Portsmouth, Sunderland and Bournemouth, as well as Toronto FC in Major League Soccer. Rangers are also hopeful of completing a loan deal to bring Steven Davis back to Ibrox.